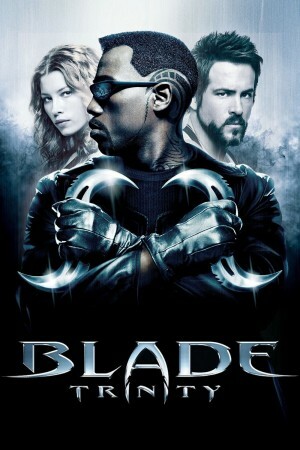 Blade returns as the ultimate vampire hunter in the explosive third and final film, Blade: Trinity. For years Blade has fought against the vampires in the cover of the night; but now after falling into the crosshairs of the FBI, he is forced out into daylight. He is driven to join forces with a clan of human vampire hunters he never knew existed - The Nightstalkers. Together with Abigail Whistler and Hannibal, two deftly trained Nightstalkers, Blade follows a trail of blood to the ancient creature that is also hunting him, the original vampire, Dracula.